Slated to drop this fall. 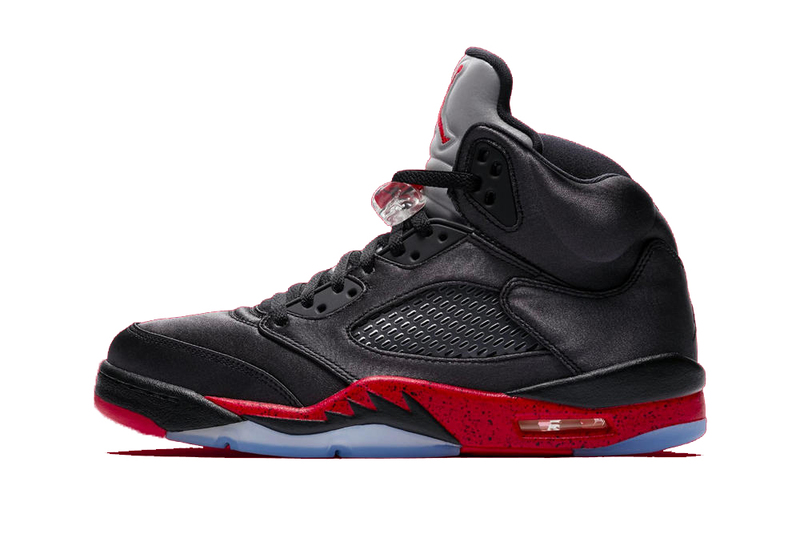 Earlier this spring, we first got word of a retro-style Air Jordan 5 “Bred” expected to hit the scene later this year. And now, with a release date already firmed up, official images of the signature Jordan Brand kicks have finally surfaced. True to what many had anticipated, the uppers swap out the customary suede/nubuck construction and instead opts for a luxe satin finish. Splashes of “University Red” found on the 3M reflective tongue and speckled midsole helps break up the heavy use of black, while the side-area cage detail and Jumpman-branded translucent outsole tie the look together. Priced at $190 USD, you can expect the Air Jordan 5 “Bred” to make its long-awaited debut at select Jordan Brand retailers on November 26. In other footwear news, Vans brings minimalist outdoor flair to the new Slip-On & Authentic Quilted pack. The Bay’s finest take over the gym. #JusticeForBarb equals a new Netflix movie. Ahead of the collection’s drop later this week. An exclusive for attendees of the San Diego event. Sonny Digital behind the boards.